Imagine this. You are a blind person and your best friend that you love and cherish more than any other human being on this planet is blind as well. You both walk around with long poles that help you navigate around your city so that you do not accidentally run into anyone. You have been doing this for many years. Truth be told, you do not know any differently because you were born blind. One may ask the question, how did you meet your best friend? This is a question that could have a myriad of answers, so I will leave that question as well as the answer to your own imagination. 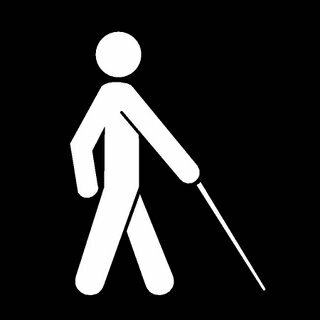 The bigger question is, how do you build trust with another blind person and get to a point where you will take their lead as you walk through a major busy city if both of you cannot see? Who is worthy of taking the lead if neither one of you can navigate the road ahead without some help? These questions and more come to mind as I sat and ate some food in the window of a NYC eatery. I was enjoying my food and two blind people walked in front of the glass and I was mesmerized! They were both holding walking sticks or poles if you will, and they were both blind. The person in front was a woman and she was leading a man who seemed to be supporting her as well. I had never witnessed anything like this in my entire life. You see if she walks carefully and clears the way ahead, then he can walk peacefully as well as he holds on to her shoulder or hand from behind. This scene sparked a plethora of emotions from me in about 10 seconds.